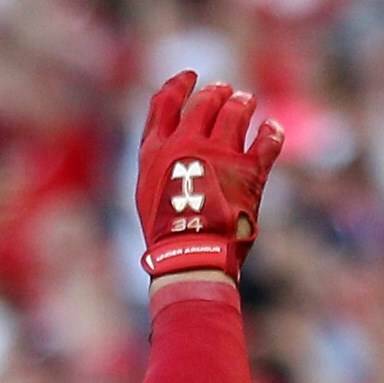 Bryce Harper seems to be messing around with his batting gloves, whether wearing just one, both, or none at all—its been changing pretty frequently. What hasn’t changed is his model, a custom version that he’s worn for a few seasons now. You won’t find these online.